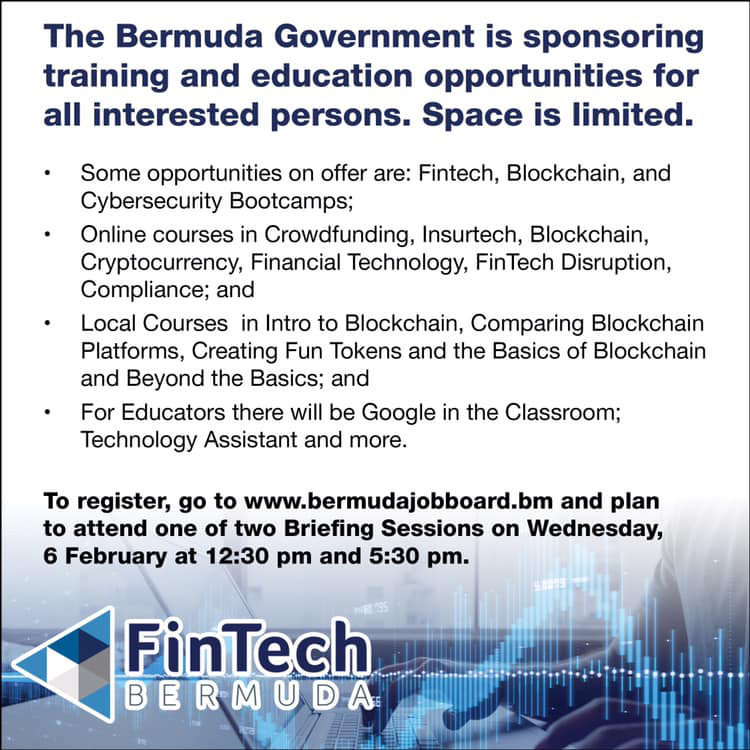 The Bermuda Government is sponsoring training and education opportunities, and will be holding Briefing Sessions later today. The event poster says, “The Bermuda Government is sponsoring training and education opportunities for all interested persons. Space is limited. “For Educators there will be Google in the Classroom; Technology Assistant and more. That’s very broad mindedness from Bermuda when countries like China and India are turning their backs on cryptocurrencies, countries like Bermuda is trailblazing.